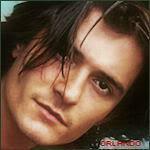 Variety is reporting a new role for Orlando in a romantic comedy; he's in final negotiations. Gina Gerwig will star as a woman who is dumped a few weeks before her wedding to her college sweetheart (Orlando) and she attempts to discover her place in the world as a single woman before she turns 30. Daryl Wein is director, Zoe Lister-Jones will be co-starring. Production to start in June in New York. Financing through Michael Landon's Groundswell Productions. Fox Searchlight is also in negotiations for distribution rights, with FilmNation Entertainment selling some foreign rights. This one sounds like it is actually happening and not just a rumor. Also, the connection to Michael Landon's Groundswell Production definitely caught my eye. 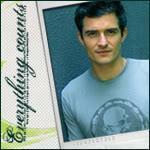 I also think it would be awesome to see Orlando do another Romantic Comedy. Thank you so much Jill for the exciting news! If Variety is correct, Orlando's character doesn't sound like much of a sweetheart. Again. Interesting -- thanks for bringing this to our attention, Jill. Thanks, Jill. This could be the film he was talking about in the TFF interview (at 1.59). Good catch, Sunstar. Fox Searchlight is handling Lola Versus and it should film in NYC in a few weeks so it's a good fit on both points. Sounds like in his mind, it's a done deal. Always good news to see another project in the works! Yeah, the character definitely sounds that way doesn't he. I guess we shouldn't expect him to be like Drew in this one. Also, it sounds like Orlando will be in New York for a while now but I guess he still has time to go back home to L.A. if he wanted to before filming starts. Thank you once again Jill and thank you to Rene for the link to Orlando talking about this. 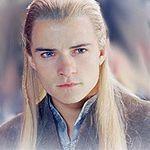 with Orlando Bloom in talks for an undisclosed role. Whether he takes on the offending fiance or eventual love interest remains to be seen, but either way, Gerwig will have worked her charm on the Brit. Bloom is now featuring two new indie films, "The Good Doctor," and the Mark Ruffalo directorial debut, "Sympathy for Delicious," in which he plays a northern English rocker. Thanks for all the info, ladies. It's looking very good. By Dave McNaryEXCLUSIVE-- The Cutting Edge Group is investing in three pics from Michael London's Groundswell Prods. by providing music services for the films. First up in the deal, announced Friday at Cannes, is romantic comedy "Lola Versus," which Groundswell is producing and financing with Daryl Wein directing and Greta Gerwig and Orlando Bloom attached. Groundswell's in negotiations with Fox Searchlight for distribution for "Lola," set to start shooting next month. "It's a young, hip film that will benefit greatly from the deal with Cutting Edge," said Groundswell president Jonathan Fischer. Coin is generally for the music budget, including scoring, clearances and music supervision. It then recoups from such things as soundtrack and sheet music sales, licensing and royalties from international ticket sales and TV deals. "There's a dislocated market in film and music, and we offer keen expertise," CEO Philip Moross told Variety. "Our game is services. We don't force our composers on productions." That is great news about it being marketed at Cannes and about the music for the movie! Thank you Jill for the update. Filming is scheduled to start in NYC June 15 through mid-July. And so it begins. Hot time in The City! Looks like this movie starts filming Monday. Can you say on set photos? Orland needs to stop teasing me by being in NYC so much. Wow, what a sentence. I've been playing catch up, and appreciate the updates. This is very exciting news and I can't wait to see on-set pictures of Orlando! I also looked this up on imdb.com and I recognized one of his co-stars, Ebon Moss-Bacharach, he played John Quincy Adams in the John Adams mini-series starring Paul Giamatti and Laura Linney! I thought he was great as John Quincy so I can't wait to see him in this with Orlando. Thank you so much Jill for the update. Today The Hollywood Reporter has news of cast additions and mentions that Production starts 'later' this month. PS Filming DID start today, confirmed by pap pictures of the two female leads in TriBeca. But wait, there's more. Groundswell Productions announced the start of filming today and Orlando was not mentioned as the boyfriend who dumped Lola before the wedding. Well, darn. Now I'm sad and a little confused. I hope we hear some follow up news on this. I'm sorry to hear that about Orlando. I've been watching AMC's "The Killing." It's an outstanding series and Joel Kinnaman is excellent in it. However, I was all primed for Orlando having the lead. After reading the IndieNewswire article and where they say he was in final negotiations before they decided on Kinnaman, I am thinking was there any confirmation about him actually being in this? Oh well, we have The Hobbit to look forward to and that is definitely happening and I would rather see him as Prince Legolas than as a tattoo artist. Well, the original article in Variety said they were in 'final negotiations', not that he had signed, unfortunately. Until you see him on set (or hear it directly from him! ), you can't count on anything. Doggone it. Thanks for the reminder, Jan. I jumped the gun and had my chickens hatched and named already. Back to waiting for 3M and The Hobbit.